Compliance is a kind of following of terms and rules, the discipline, and agreement of work pattern. When you agree you comply and get eligible to work with the team, office, organization nonprofit, institute etc. Non compliance would end the contract and ensure that none of the parties are harmed by each other. To start such an agreement between the two parties, where one agrees or complies with the term of work, usage, etc of the other, this form of proposal and agreement is made ready. Maintenance Manual Template make the work easy with guided formats. When you are going into a contract with a vendor, and want the vendor to follow the norms and work culture, then this form of template works the best. The vendor compliance manual enlists all the points with which the vendor must comply always so that the contract is intact and non-violated. 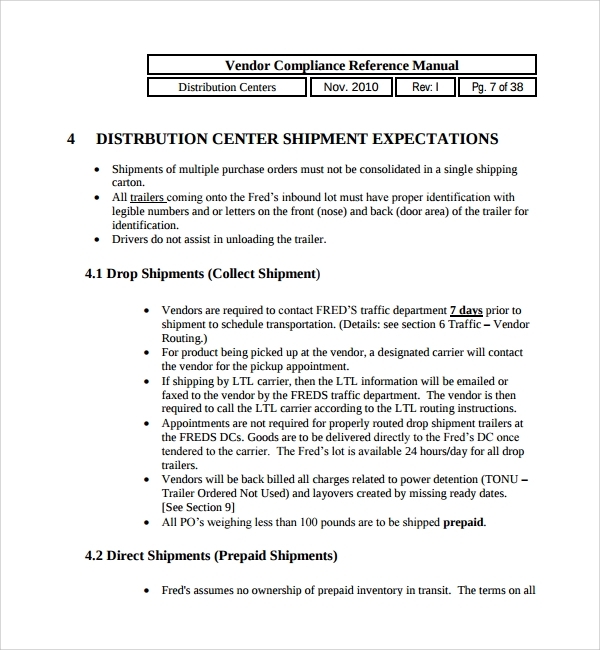 When items get exported, then contracts and compliance manuals are made to be followed by both parties involved. 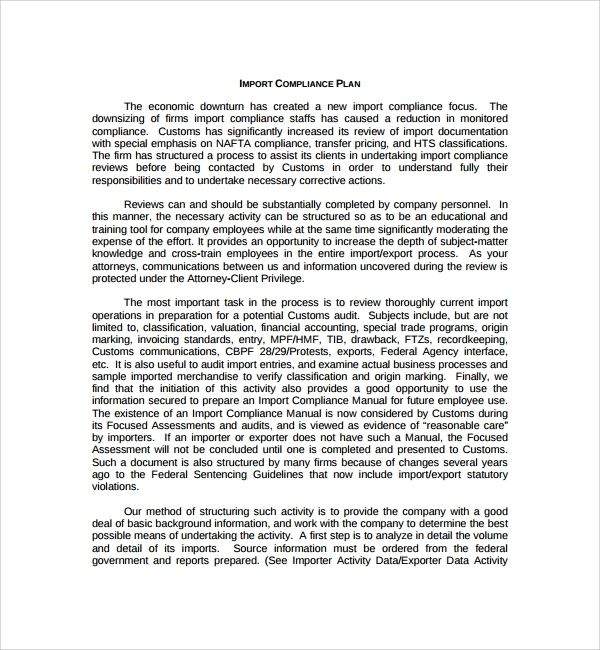 The one who is exporting, and the one who is importing both must abide by the rules and work format to keep up to the compliance manual mentioned rules. The template makes writing the manual easy. This is another format which you get in the template when you are making a manual for the terms and rules, usage conditions, handling features and payment terns etc about an import. The parties involved must both abide by the terms and this forma is best made under the guided template. 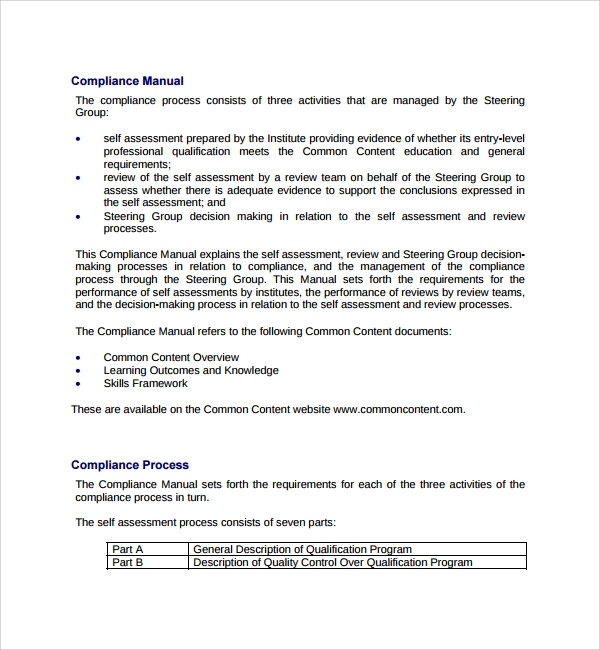 The compliance manual template, Project Manual Template is great way to start a new contract and keep things guided between the parties who have agreed to work together. This can be any form of work and in any domain. But there is always a set of rules which each party involved must maintain and adhere to, so that the work is carried on systematically. 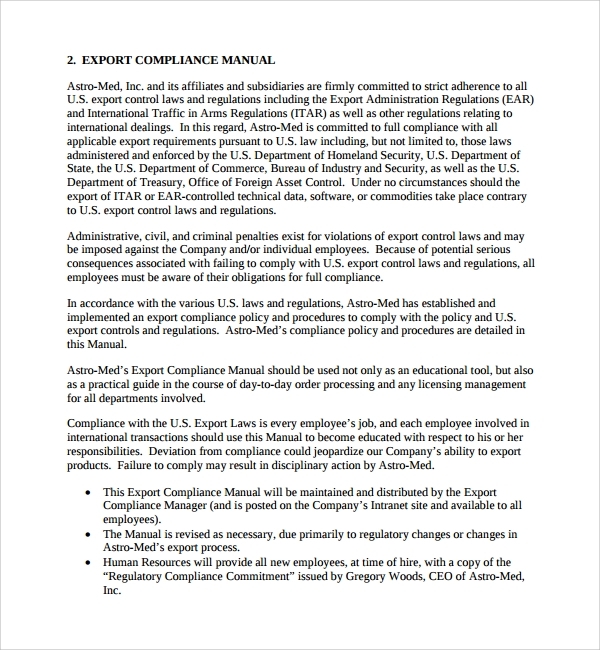 The compliance or agreeing of the terms is thus best documented in the manual, which is a list of all rules and points. 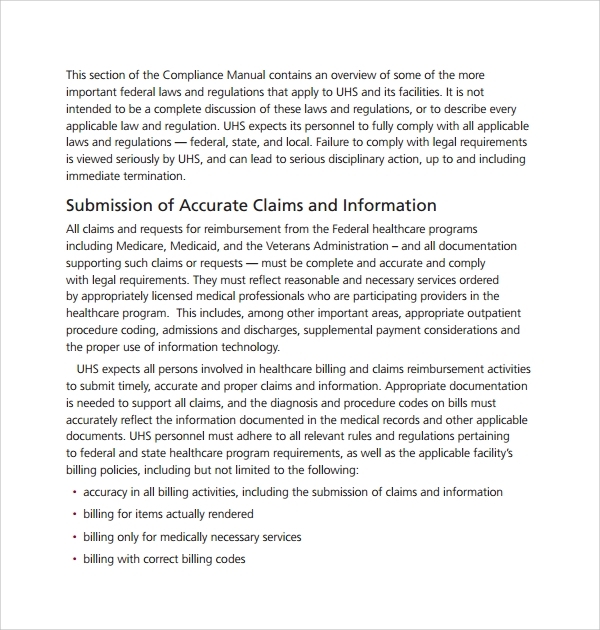 When such a list is made, the room for errors can be minimized by sticking to a professionally designed format, and the compliance manual templates offer exactly the same. You may forget many important points and mentioning of many terms which can be for security, payment, discipline, etiquette, work culture, uniform, timings, and so on. 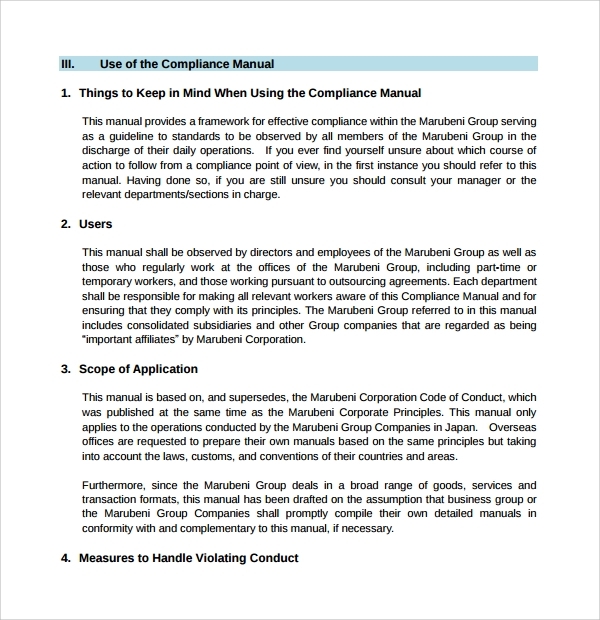 There Software Manual Template are many important things which need a mention in the compliance manual, and if you miss something you dig in the pit for failure. That is why it’s very important that you take the help of an already made format which will minimize errors, make you remember all points by outlining them, and will help you write a nice and professionally sound manual. Using the templates is quite easy, and you don’t need a huge computer and internet knowledge or software skills to do that. You should download the Staff Manual Template which suits our needs, and then read on to understand what is required. Next you must sit calm and concentrated with your points which have to be written. Make a list while adhering to the manual format in the template. Finally adding and remove points as required to personalize. 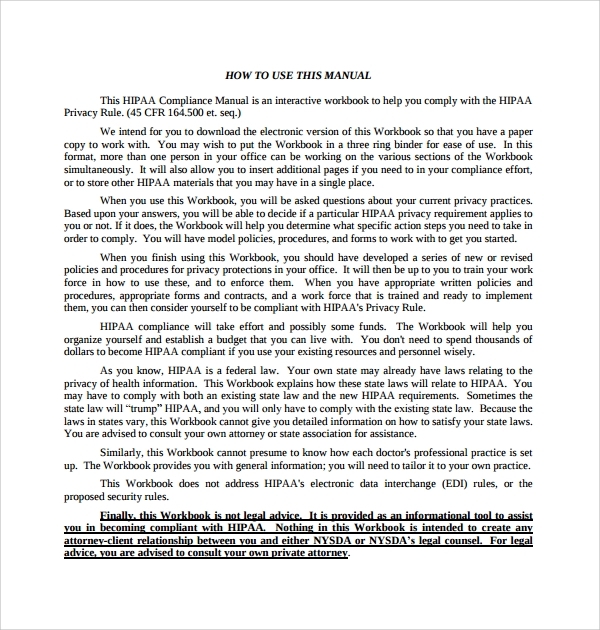 Remember that these templates are made by professional who understand the universal requirement of compliance manuals, and hence customization is up to you. 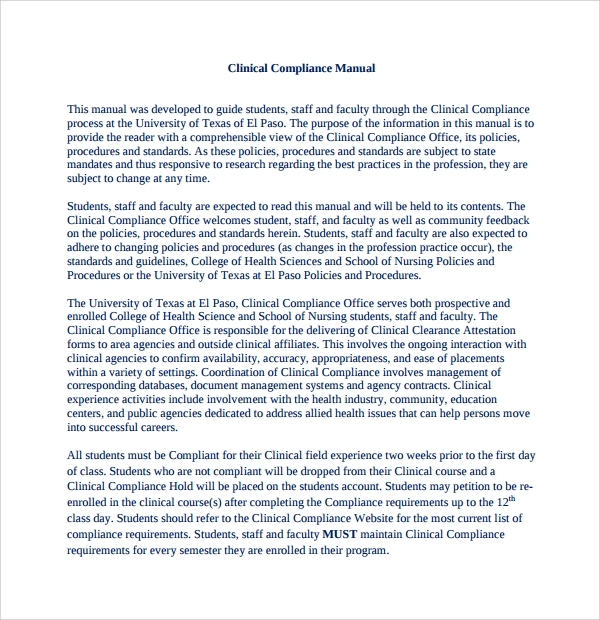 A format for making compliance manual is most requited when you are completely new to the domain and duty. However this is such a lengthy and complicated job that even experienced people also may get paranoid as they will keep on missing one point or the other and have to shuffle and rearrange. That is why templates offer you the perfect background.